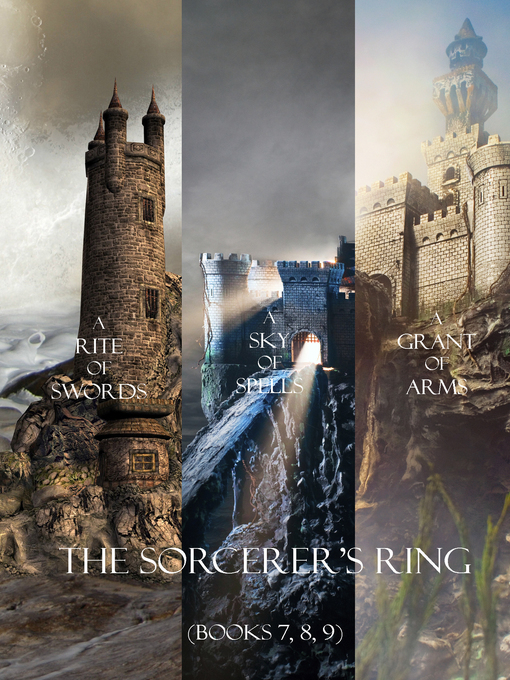 This bundle includes books #7, #8 and #9 (A RITE OF SWORDS, A GRANT OF ARMS and A SKY OF SPELLS) in Morgan Rice's #1 Bestselling fantasy series THE SORCERER'S RING. These three bestselling novels are all here in one convenient file and offer a great step deeper into the world of the SORCERER'S RING series. Over 200,000 words of reading, all for an incredible price! It is a great deal and makes the perfect gift! THE SORCERER'S RING series tells the epic tale of the coming of age of Thorgrin, a special 14 year old boy, the least loved of his father, as he strives to become a warrior in the magical Kingdom of the Ring, as he learns he has powers and a destiny he does not understand. An outsider, he must fight for acceptance as he strives to join the King's elite Legion, and as he falls in love with the king's 16 year old daughter. Most of all, he must learn who he really is, why his destiny is so important, and why the fate of the Ring depends on him. In A GRANT OF ARMS (Book #8 in the Sorcerer's Ring), Thor is caught between titanic forces of good and evil, as Andronicus and Rafi use all of their dark sorcery to attempt to crush Thor's identity and take control of his very soul. Gwendolyn, with Alistair, Steffen and Aberthol, ventures deep into the Netherworld, on her quest to find Argon and free him from his magical trap. Reece leads the Legion members as they embark on a near-impossible quest to do what has never been done before: to descend into the depths of the Canyon and find and retrieve the lost Sword. Will the Ring fall into complete and final destruction? In A SKY OF SPELLS (Book #9 in the Sorcerer's Ring), Thorgrin finally returns to himself and must confront his father once and for all. An epic battle occurs, as two titans face each other, and as Rafi uses his power to summon an army of undead. As the new Queen of the Ring, Gwendolyn uses her powers to unite both MacGils and McClouds and King's Court slowly comes back to life once again. Thor finds himself summoned to embark on his greatest quest of all: to seek out his mysterious mother in a faraway land and to find out who he really is. With multiple wedding preparations in the air, with Spring returning, King's Court rebuilding, festivals afoot, peace seems to settle back onto the Ring. But danger lurks in the most unforeseen corners, and all of these characters greatest tribulations might be yet to come.